You have a nonexclusive, nontransferable, limited, revocable right to use the Website, Products and Services solely for your informational and personal use. You may not use the Website, Products or Services for any other purpose without our express prior written consent. Your use of this site means you accept the conditions on this page. If you cannot agree to abide by the conditions laid out on this page, please leave the site. If you're not sure what copyright is, I suggest you read Copyright — Who Owns the Content? It should answer any questions about what copyright covers. Material on this website may be reproduced for non-commercial use providing a clear reference is made to Environmental Health Association of BC, Victoria, British Columbia, and www.ehabc.org. In the spirit of its Mission, Environmental Health Association of BC encourages members and readers to print and distribute material from this site for the purpose of educating and raising the awareness of others. Other material that will be associated with Environmental Health Association of BC information. This website and the domain name "ehabc.org" is owned and funded by Environmental Health Association of BC. The Environmental Health Association of BC logo used on this site is the property of Environmental Health Association of BC and may not be used without permission. Some images are provided or used by permission for the sale of merchandise and copyright is retained by those agencies. All rights reserved. The content of this site is intended for individual use in obtaining information about Environmental Health Association of BC and their products and services. 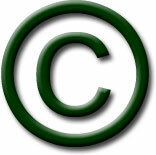 Printing more than one copy in any format (electronic or otherwise) constitutes commercial use and requires a license (see exceptions for non-commercial use). If permission is granted to use any images, the appropriate images will be provided for you to store on your server. You may not cull e-mail addresses on this site for the purposes of generating unsolicited message traffic (generally known as spam) to those addresses. Addresses are provided only as a convenience in contacting Environmental Health Association of BC on Environmental Health Association of BC-related business. Environmental Health Association of BC has no control over the content or availability of the pages which are linked from outside this site. EHA BC is committed to protecting the privacy of the personal information collected on this site in accordance with the Personal Information Protection and Electronic Document Act (PIPEDA) and the British Columbia Personal Information Protection Act (PIPA). This site does not collect information using cookies or other information-gathering tools. EHA BC does NOT use spam or other such invasive activities. We reserve the right to respond to email correspondence sent to us. EHA BC has no control over the content or availability of the pages which are linked from outside this site.